Having spent a lot of money and time to pass the UK driving test, it is amazing that people are throwing it all away by getting their new licenses revoked under the new driver's act! 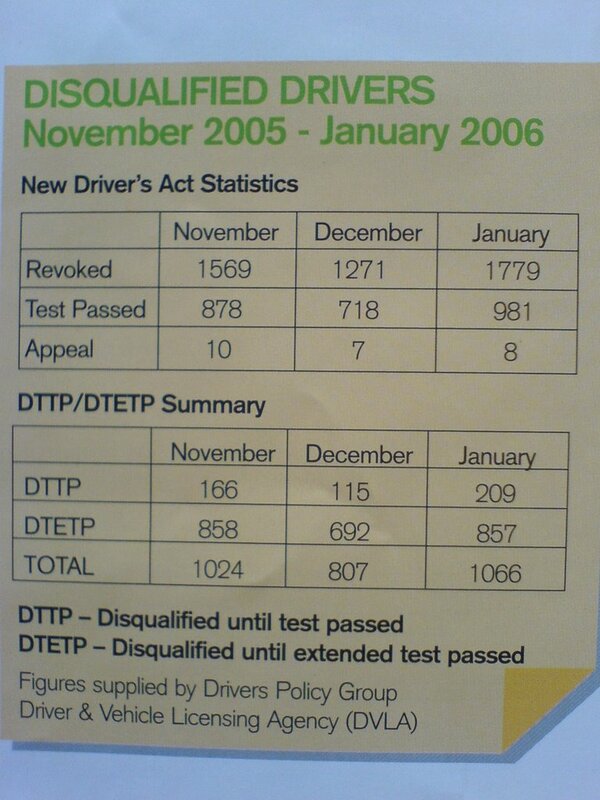 The latest figures from the DVLA show that a lot of people are still being caught out by the act, which can see your driving licence revoked if you get 6 penalty points or more within 2 years of passing the dsa practical car assessment. The most common offences committed are speeding (traffic code SP30) and failing to stop for a red traffic light, but other offences like driving without insurance or being under the inflence of drink or drugs are also causes. There is no excuse for being caught speeding (not being familiar with the area and thus not knowing the speed limit will not wash, if there a no signs it will usually be 30 or maybe you just didn't pay attention to the signs) or failing to stop at a traffic light 2 of the highest reasons for points being added to licenses, as a newly qualified driver, these skills should still be fresh in you mind from all those driving lessons and peep talks you had with your instructor. If you do it once and get away with it, consider yourself lucky, but if you make it a habit, you will get caught eventually, either by the ANPR police car, or a radar controlled camera. The main thing is that you will find it hard getting insurance after being banned for 6 points under the new driver's act! Read my post about driving on un-familiar roads to see how to deal with that situation. 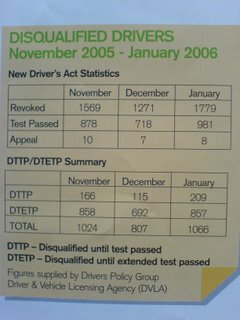 With the recent increase in driving test fees and the cost of learning to drive going up constantly, new drivers need to cherish their licenses more dearly and not get caught out by the act, as it might not be easy to pass the dsa test the second time round, and think of the embarassment of telling colleagues you are a learner again!